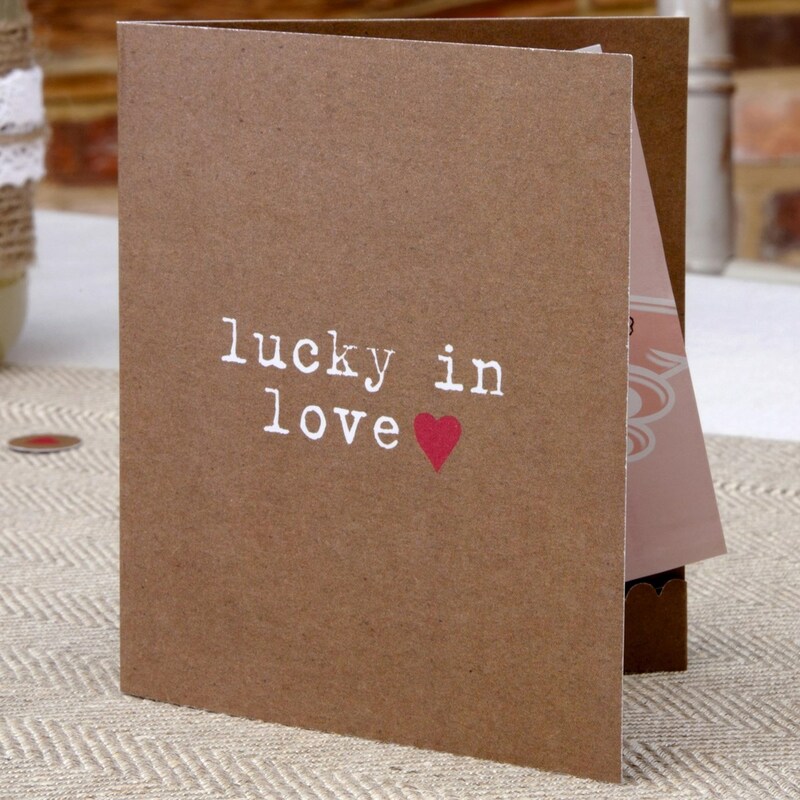 You may be "lucky in love" by why not see if your guests have a lucky streak, too? Adding a lottery ticket to your tables is a fun way to spread some extra good cheer on your special day. Slip tickets or scratch cards into these elegant holders and place on each table setting. Ticket holders feature typewriter-style font and a simple love heart design.